Although hours have passed since the ambulance rushed the usually spirited girl to the hospital, she has yet to wake, but her family is there waiting and praying. She’s barely 25, but these daunting hospital stays have become routine, albeit no less frightening for all present. 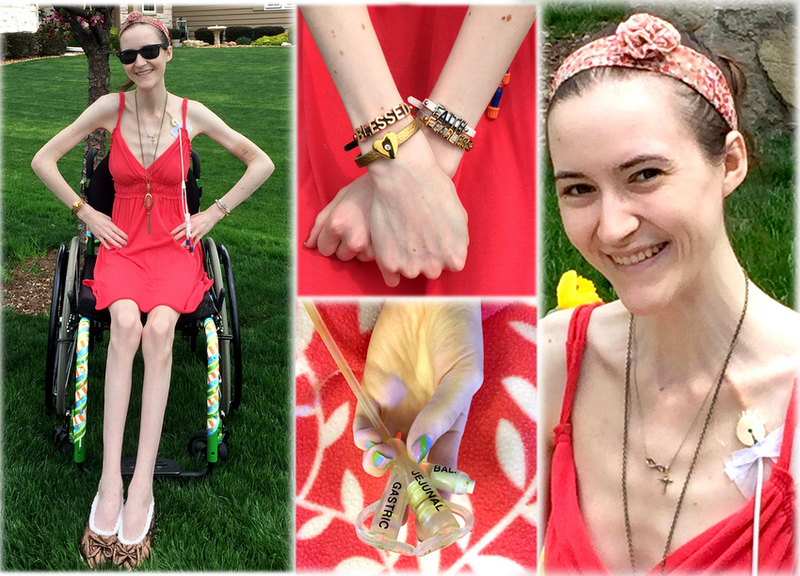 For nearly 10 years, she’s faced multiple rare and incurable diseases, primarily affecting her cardiovascular, intestinal and nervous systems. These so called “invisible illnesses,” which are named for the havoc they wreak internally without prominent outward signs of the disease, no longer seem invisible. All one needs to do is see the look on her family’s faces to understand the serious circumstances. But if you follow their gaze to the darkened room, beneath a tangled web of tubes and lines lies a tiny, motionless body with long hair swept in a bun like a dancer. A first Eucharist cross necklace on her neck and a superhero puppy nestled in her arms conveys a message in which words could do no justice. Sometimes, no words are necessary. Would you tell the girl she wasn’t sick? That she was too young to be so ill? Invalidate her pain? Insinuate her agony wasn’t significant enough? It’s offensive and pernicious that one must justify the validity of their illnesses, but it happens every single day. Diseases do not discriminate, but people do. Shortly before the girl’s most recent intensive care unit admission, she was giggling and telling entertaining stories from her bedside. When she had another procedure on the previous day, she was told by an aide she was too pretty to be sick and she smiled too much to be in pain. I am the girl with the medically fragile body. Although I was initially irritated by the aide’s remark, I briefly explained to her some of the consequences of my diseases, including the copious blessings that remain, empowering me to live wholeheartedly, full of joy, dreaming wildly and living peacefully despite my illnesses. Few people take the time to truly listen, make the effort to care or really try to understand, but this woman was kindly receptive. Many of us have had invisible illnesses since childhood, but we have become happy, hopeful and resilient young adults. After several excruciating surgeries, procedures and extensive complications, we have learned to cope with the harrowing pain without complaint or a single grimace even amidst challenging times. Whether you choose to see it or accept it, we are surviving painful chronic diseases, and for some, like myself, death is imminent. Often times, it’s the ones who are the sickest whose souls shine the brightest, radiating positivity, emanating love and expressing gratitude. Numerous times throughout the different stages of my diseases, I’ve experienced disdainful glares, had cruel words spewed in my face, been hurt physically and dealt with intentional ostracization occurring everywhere from the parking lot, to school hallways, places of worship and in the hospital. Sadly, this intolerance, ignorance and contempt is not uncommon. Nevertheless, even though it can be difficult or greeted with apathy, continue to teach with passion and raise awareness with valor. Although not all will listen, when it comes to adversity, education breeds tolerance. Invisible our illnesses may be, but invisible we are not.